PRAGUE, December 16, 2016 – Colliers International today issued a report that highlights the advantages of the impending opening of the last section of the D8 highway – the final piece of the puzzle of only the second complete highway in the country that will connect Prague with Germany and in turn make the Ústí nad Labem region an increasingly attractive location for industrial and logistic parks. The survey, titled “Ústí nad Labem Driving Ahead”, examines how the new highway, which will open at the weekend, is set to remedy the situation where there is a relatively limited supply of industrial and logistic warehouses in a region that has traditionally suffered relatively high unemployment rates. The current development pipeline of the D8 highway corridor – which spans three regions of the Czech Republic: Prague, Central Bohemia and Ústí nad Labem – comprises 222,700 sq m of modern warehouses in projects, which are trying to attract occupiers on a lease basis. Out of this, 39,300 sq m is already under construction. The potential development pipeline for the D8 highway zone is however much bigger, with at least a further 730,000 sq m of new warehouses in the process of preparation for future development in the D8 corridor. “The total potential pipeline could thus help the total stock in the region to at least quadruple. What is apparent is that developers have been securing land in advance of the D8 completion – more than 70% of this pipeline is located in the Ústí nad Labem region,” the report notes. In order to assess the development potential, Colliers interviewed logistic operators on whether the region’s attractiveness is increasing with the D8 completion and what other notable benefits they foresee. Developers were asked whether they plan to launch speculative construction anywhere along the D8 corridor. “Majority of logistic operators mentioned time and cost savings and the need for an alternative route to the D1 highway. With the exception of smaller developers who focus mainly on local development, the response of the major market players´ was almost identical. They either already have industrial parks along the route, which have additional development capacity, or they have already purchased a land for their development in advance,” the report finds. 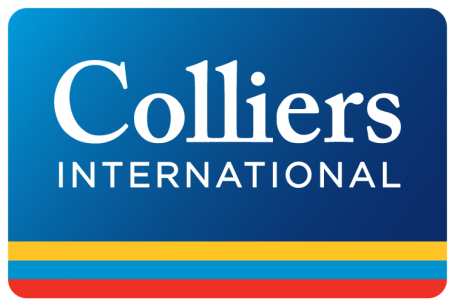 Looking ahead, Colliers believes other planned road construction such as the highway from Hradec Králové to Olomouc and the České Budějovice to Austria will open up further corridors that will experience similar development patterns in the coming five years. Furthermore, changes to the government decision-making process should shorten and simplify the highway-building programme from 2017 onwards given that the finalisation of the D8 was a 30-year saga.